I first posted this recipe six years ago today, and ever since, it has consistently been one of the most popular recipes on Kitchen Treaty! In honor of Memorial Day Weekend, I thought I’d re-share it. Cheers! Some might argue that a true sangria is red. Me, I don’t care either way. It’s sangria. When you’re drinking sangria – regardless of the hue – life is automatically good. Who would want to argue with that? 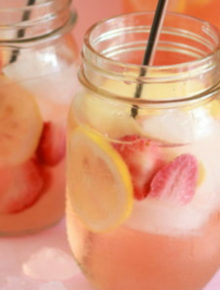 This White Strawberry-Lemon Sangria recipe in particular has become a fast fave in our house. It’s sweet, but not sickeningly sweet. It’s just-right sweet. The strawberries lend their signature summery taste while the sour lemon keeps everything in check. 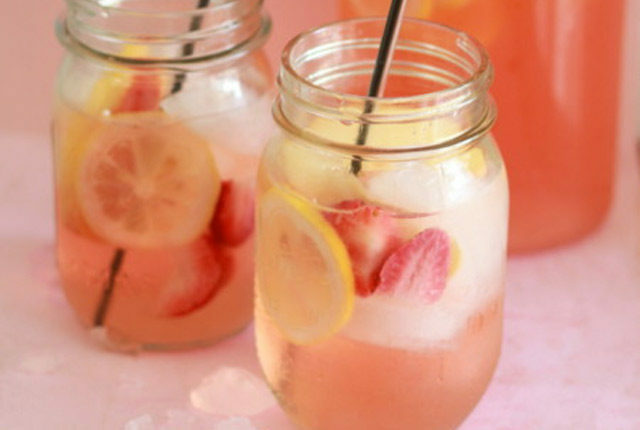 Lemon-lime soda tops it off and, I think, makes this strawberry lemon sangria particularly drinkable – in a bit of a dangerous way, actually. And then there’s the buzzed fruit. Thanks to the addition of rum, the strawberries and apples are nice and kicky – perfect for picking out of the glass for a quick nibble. 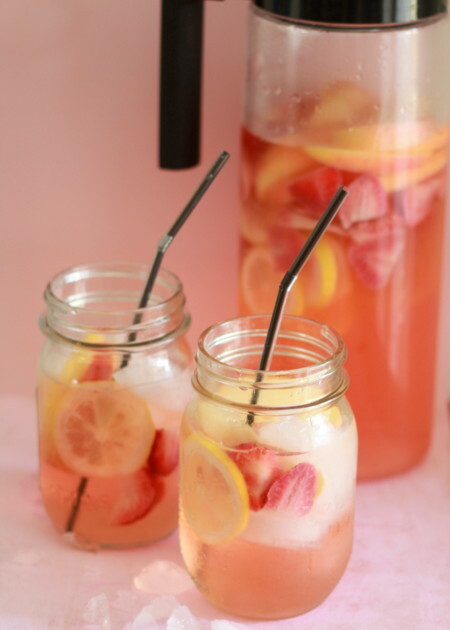 This is such a wonderfully refreshing sangria – great for the hot, muggy days ahead. And warm summer evenings. And sunny afternoons. And maybe even right now.